Boutique Los Angeles storage™ services as unique as you are. Changing up your scene and need a place to stash your vespa or bossa nova collection? Storage A-Go-Go® is what’s happening in the storage service revolution! It’s a personalized, full service, boutique Los Angeles storage™ service that go goes where no storage has gone before. With these boutique Los Angeles storage™ services you choose and design your own storage services according to your needs. Storage A-Go-Go® offers everything from simple storage to specialized full service Los Angeles storage. Whether you pack up or a Go-Go Personal Packing Assistant™ jets over to pack up for you, it’s your call. Storage A-Go-Go® delivers your belongings safely to its Los Angeles storage facility. 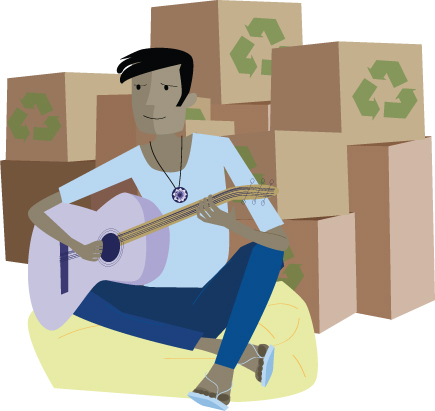 All of your belongings can be wrapped, packed and protected with our eco-friendly packing materials and stored in our safe and secure Los Angeles storage facility. Storage A-Go-Go® does ALL the work. We pack, make a special detailed inventory, deliver and store everything for you. Self-storage is often outdoors. Countless rows of garages mean poor land use practices. Storage A-Go-Go® offers a clean, secure and eco-friendly Los Angeles Storage facility in our warehouse location. Self-storage requires you to travel to the storage facility and rummage through your storage unit to find your treasured lava lamp. 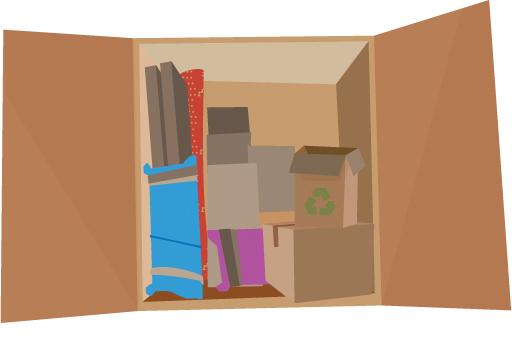 Storage A-Go-Go® offers pickup and delivery of specific storage items to and from Los Angeles storage and your home, saving hours off your busy schedule. Lava lamp direct to you! Wild! With self-storage you have to rent a truck, pay for gas, mileage, insurance, and buy pizza and beer for your helpful friends. 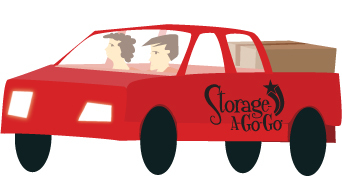 With Storage A-Go-Go® there is no need to rent a truck, pay for gas, mileage & insurance. Darling, it’s caviar and champagne for you. Self-storage and mobile storage offer standard spaces and default prices. Look up. See all this unused space? You'd be charged for it! With Storage A-Go-Go® you pay only for the space you need. You can add space if needed to your Los Angeles storage, pay for less space when taking things out and customize your Los Angeles storage services to suit your needs. Storage A-Go-Go® knows how you love your space. 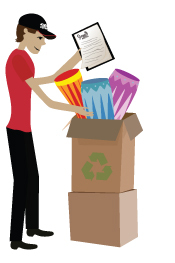 Storage A-Go-Go® will make a special inventory of your belongings. Other Los Angeles storage service companies don’t even give you an inventory. You’re totally on your own. Self = you alone. Even, most moving companies will only label your moving boxes according to size. Storage A-Go-Go® will make a detailed and specific inventory list of your belongings in our Los Angeles storage. You can access specific items in your boxes whenever you need them. Whether it’s your feathered boa collection, your Go-Go boots or your fondue set, your Go-Go Pro™ will have no trouble finding them in our Los Angeles Storage facility and delivering them to you. Your Storage A-Go-Go® Storage Pro™ can pick-up or deliver specific items to and from your Los Angeles storage. No need for you to jet (I mean sit in traffic) around Los Angeles like you have to with self-storage. Instead your Go-Go Personal Storage Pro™ can pick up and deliver right to your home. Think of it as Chinese takeout delivery storage. Those vintage records and mod art, along with all of your items destined for Los Angeles storage can be wrapped and protected for safe transfer and storage by a Go-Go Pro™ with our eco-friendly packing materials. Don’t sweat it, unlike most self storage or mobile storages our Los Angeles storage facility is clean and secure. You dig? We work hand in hand with our good friends at NorthStar Moving.® Whatever the size of your move or storage needs we’ve got you covered. Storage A-Go-Go® Los Angeles storage starts at only $79 per month per 5’x7’x8’ storage vault. Have more questions about Los Angeles storage? Get your answers here or chat with us. Don’t sweat it another minute, keep your cool and give us a call.